Last updated: May 16, 2018 at 12:36pm by Savanah – Gambling news has been slow in the Land of Enchantment state. A new tribal casino in Santa Fe is in the works to be built. New Mexico offers several different forms of legal gambling, but they are pretty strict on their laws when it comes to illegal forms of gambling. If you play by the rules you will have no issues once so ever, but if you don’t you could find yourself in hot water. Unlike most state’s statutes where the definition of gambling and/or betting is broad, New Mexico is one of a few states that are more precise on their definition of gambling/betting. Playing Poker Online, Legal or Illegal? This question comes up often, not only in New Mexico but for all states within the United States, and is a controversial one to answer. There is nothing in their state law that specifically states it is illegal to play poker over the internet for real money, and there are no cases to be found where someone was arrested for doing so. This can make one assume it is fine to play online poker in New Mexico, although it’s never best to just assume. Where Else Can I Play Poker in New Mexico Legally? 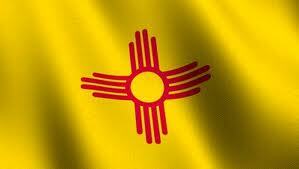 Many people play poker at Indian casinos in New Mexico, which is completely legal to do so. They currently have 20 Indian casinos run by 14 tribes. ThePokerAtlas.com is a great resource for finding all the daily poker tournaments offered at all the casinos within the state. State Lottery – On April 5, 1985, Governor Gary Johnson signs Senate Bill 853, creating the New Mexico Lottery Authority. In its first fiscal year the lottery did gross sales of $28.5 million with a net profit of $6.3 million. In its second year they had gross sales of $82.4 million with a profit of $21.9 million. Jump ahead to 2015, the lottery had gross sales of $137.1 million and a profit of $41.1 million. You can visit their website by clicking here. Pari-Mutuel Wagering – Horse Racing is regulated by, §60-1A-1 thru §60-1A-30 NMSA 1978, of the New Mexico Statutes. Horse racing requires a state license which allows for betting on live races to be legal. Pari-mutuel wagering can be done only on the licensed premises where a live horse race is conducted, or where a simulcast horse race is televised or projected on the racing grounds of the licensed premises of a racetrack licensee. Slot machines can legally be operated at a licensed track as long as they have the additional license to do so. Indian Casinos – New Mexico is home to 22 Native American Tribes, although only 14 of the tribes run a casino. As mentioned above, there are a total of 20 Indian casinos which is much more than what most states offer. Follow this link to learn the historical timeline of Indian casinos in New Mexico. 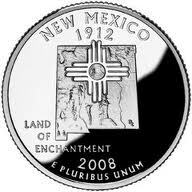 In mid October 2014, New Mexico Governor Susana Martinez’s and a federal judge in Albuquerque stopped the Interior Department from approving a new gambling compact for the Pojoaque Pueblo tribe. If the compact would have not been denied, the tribe would have stopped its revenue sharing with the state. Charitable Gaming – The Bingo and Raffle Act identifies certain “qualified” or “charitable” organizations to obtain licenses from the New Mexico Gaming Control Board to conduct regularly scheduled bingo games and/or to sell pull tabs and raffle tickets. The money raised must go to a “lawful purpose”. Calcutta’s, side bets, or any other method or game in which a participant bets on a ticket, number or other item to become a winner. “Casino nights” where money is paid for the opportunity to play a game of chance and win money, prizes or other things of value based on the random outcome of a game even though there may be some skill involved. Wagering on the outcome of a sporting event or betting pool, with the exception of horse racing, where bets are placed at a licensed track. Pari-mutuel or any other type betting by phone or online is not permitted.